Your search has returned 44 results. 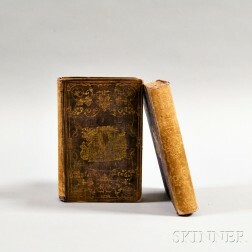 Save your search - find out immediately when "Harriet Beecher Stowe" is available at auction! 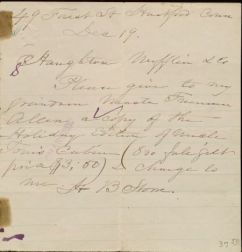 Stowe, Harriet Beecher (1811-1896) Autograph Letter Signed, 12 September 1883. 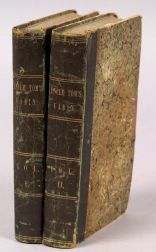 Abolition of Slavery, Two Titles from the 1850s. Stowe, Harriet Beecher (1811-1896) Uncle Tom's Cabin; or, Life Among the Lowly. Stowe, Harriet Beecher (1811-1896) Autograph Letter Signed, 28 October 1886. 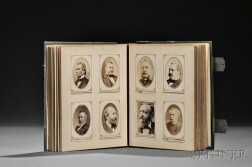 Presidential and Literary Autographs c. 1875. Stowe, Harriet Beecher (1811-1896) Uncle Tom's Cabin.